Play outside or relax inside when you vacation at Prince Resort II 1038 because your family wins either way. 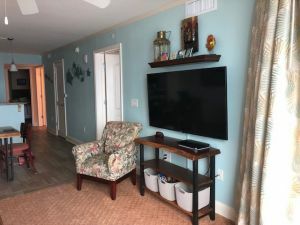 This second row condominium rental is located in the Cherry Grove section of North Myrtle Beach, South Carolina, a favorite destination with families because the nearby fishing pier and saltmarsh channels are popular. 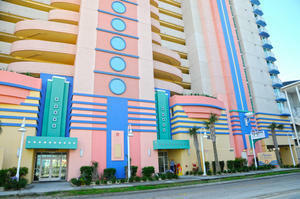 A stately resort with ocean views, Prince Resort II is a North Myrtle Beach, South Carolina favorite. 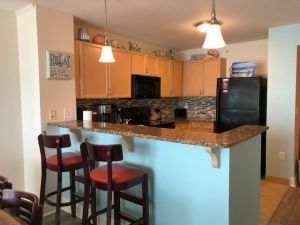 Prince Resort II 1038 is a two-bedroom, two-bath ocean view, North Myrtle Beach condominium rental that sleeps up to eight people comfortably. 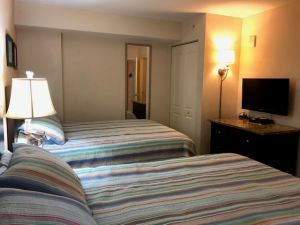 Condominium living is easy when you choose this North Myrtle Beach vacation rental for your carefree beach vacation. This vacation rental features a furnished balcony that boasts ocean views, a restful retreat any time of day. 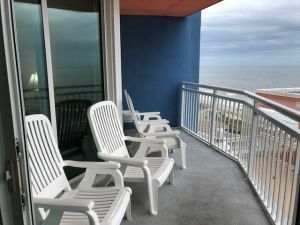 The Atlantic Ocean can also be seen from the master bedroom and living area of this North Myrtle Beach vacation rental. 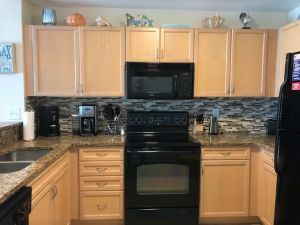 The well equipped kitchen at this condo rental in North Myrtle Beach, South Carolina has everything necessary for making meals or preparing beachfront picnics, including a dishwasher! 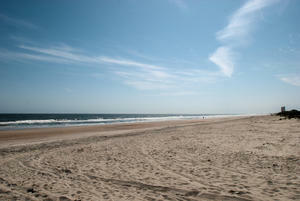 No more living out of a cooler when you are on vacation in North Myrtle Beach! 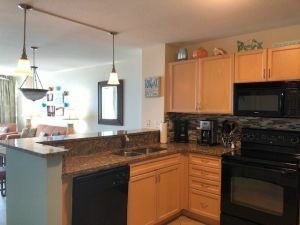 Prince Resort II 1038 sets you up with a convenient, full-size kitchen! 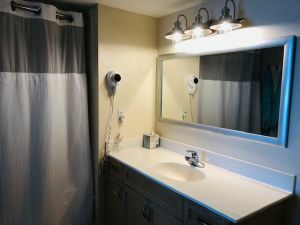 There is even a washing machine and clothes dryer in this ocean view North Myrtle Beach condo rental. 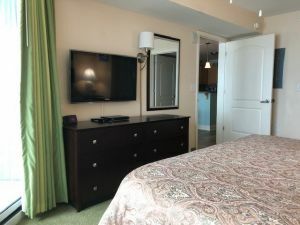 Beyond the front door and balcony of Prince Resort II 1038, you will find a kiddie pool for the little ones, a hot tub for the golfers after they have played 18 holes of Myrtle Beach golf, and a sparkling blue heated swimming pool. 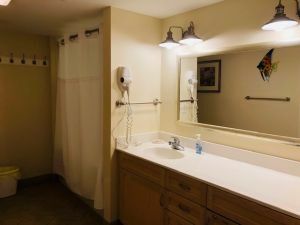 When you vacation in North Myrtle Beach, South Carolina at Prince Resort II, do not forget the most popular water feature, the Prince Resort II lazy river. Grab an inner tube and ride the lazy river with your kids; it is as relaxing as it is entertaining, and it is an amenity enjoyed by all ages. 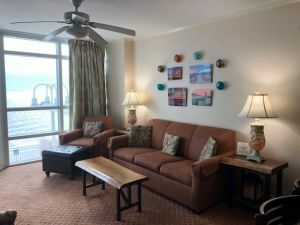 The on-site fitness center of this North Myrtle Beach resort will make you want to put on your exercise shoes because the views from inside this facility are fantastic. 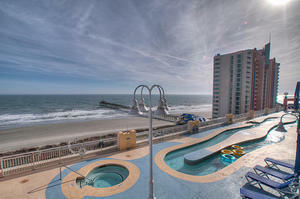 Just minutes from this condo rental, prized North Myrtle Beach destinations await your arrival. 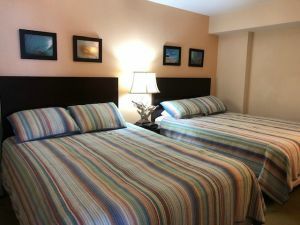 From the shopping/dining/entertainment complex of Barefoot Landing to the water sports recreation, such as Sea Doo rentals and parasail rides, fun and excitement is on every North Myrtle Beach, South Carolina corner.